Broadband issues, WFH and pasta sauce! Oh what a day! I was working from home again today - I know I'm very lucky! All was going well, when I spotted that I'd lost my connection. Off I went and rebooted the internet, not the whole internet you understand just the tiny bit that we lease from Virgin Media. No joy. So I tried again. And again. Rebooting it wasn't working, so I called Virgin who suggested I reboot it. Again. So I did. Still no joy, so the Virgin man said he could send an engineer...on Thursday! Hmmmnn... My only hope he said was if there was a fault in the area as that would mean an engineer would be despatched more quickly. What a thing to hope for, but hope I did! So there I was "working from home" without an internet connection. So I thought I'd try my BlackBerry to see what I'd missed with all the ups and downs of our modem. Nothing it seemed. I only had 3g not 3G and that meant no Data Services. It was going to be one of those days. Feeling unconnected and unable to do much offline without preparing to be offline I decided to flip my day and start making tea! Yes it was only lunchtime but I decided to make a batch of chunky tomato sauce for pasta using the recipe from Oh She Glows - but of course, I only had the screen of my iPhone to guide me! It was therapeutic to chop the tomatoes, it took me longer than 20 minutes to cook but I think that's partly due to me being over cautious with my new saucepans! Just after I started I got the automated call to say there was a fault in the area so my engineer was being cancelled. Great, but please fix it! Of course it was fixed when I was part-way through the sauce. Ah well, it made sense to finish it. 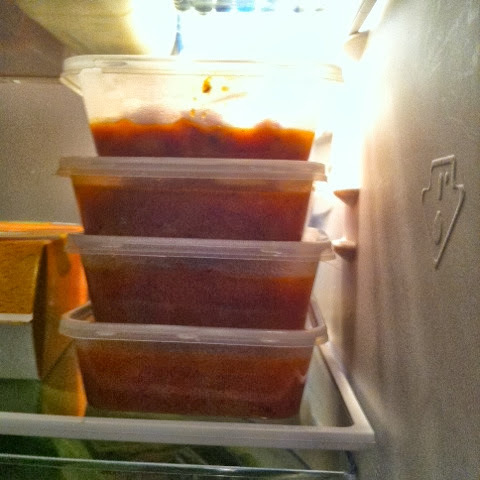 As well as making enough for tea, which was pimped with salami and cannellini beans (a la Nigella's small pasta with salami) there was enough to freeze a further four tubs of sauce. 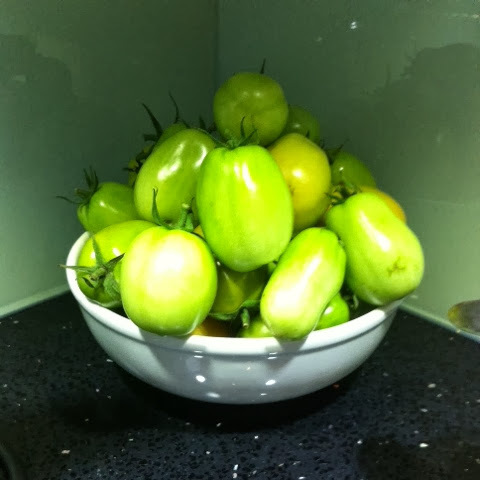 And we still have more tomatoes to use! 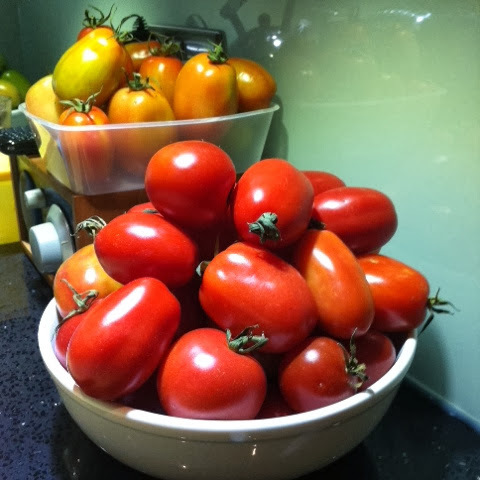 No, we still have a lot of tomatoes to use! I love a good home-made tomato pasta sauce, and this was a good one. Yum. 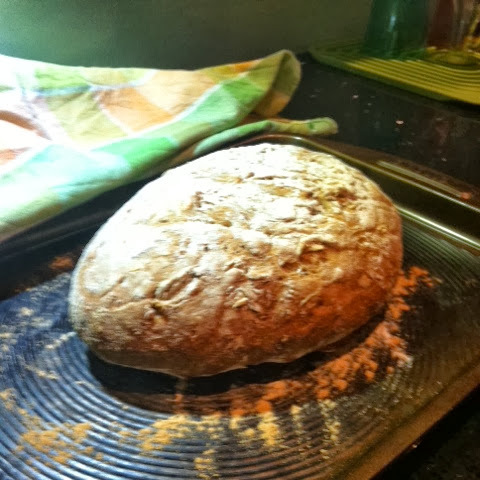 And while I was at it, I knocked up the second sourdough of the week, the last one disappeared in two days!